The VACON® NXP range of common DC bus drive products includes a number of active front-ends, inverters and brake chopper units. They ensure all energy within a system is effectively utilized and redistributed. Common DC bus components can be used in many different combinations. 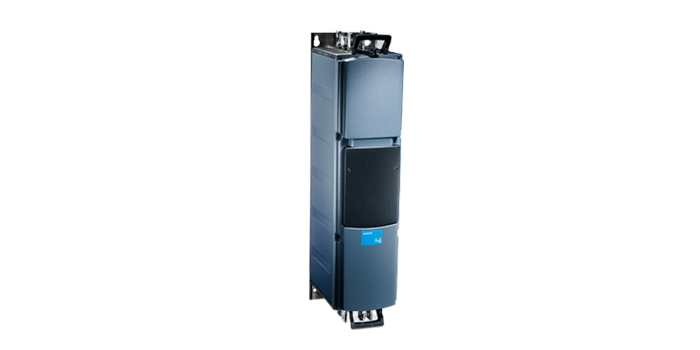 In a regenerative DC bus system, the active front-end unit generates power back to the mains network. This is suitable for processes where braking is needed often and the braking power is relatively high. In a non-regenerative system, braking power is redistributed to other drives in the system and possible excess power can be dissipated as heat using an optional brake chopper and brake resistors. This is ideal for small production lines where braking is needed less often. Continuous web and roller table systems, winders and unwinders, cranes, hoists, gantry and trolley drives, centrifuges, winches, conveyors and excavators.